Is it really London Beer Week again? It seems like only yesterday I was listening to the Sugababes with Pete Brown and eating smarties (oh, and drinking beer too, obviously). This time of year is pretty hectic for IRL Charlie and so last night was the first event I’d actually managed to get to. Still, quality over quantity. The beer tasting was being held in Octoberfest Pub, Parsons Green. I have to admit that I was a little wary of going, thinking it might be a bit lary and kitsch, but I was pleasantly surprised. That said, the essentials are there: flags and steins and wooden benches and the Das Boot challenge (I noticed Big Al was in second place, could it be THE Big Al?) And the beer list? Oh, the beer list. 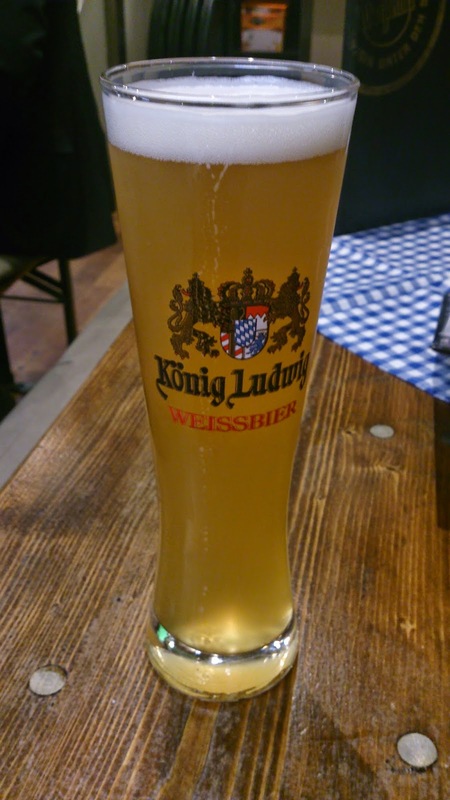 I dived straight in with a pint of Konig Ludwig Weissbier, which was fresh, with just the right amount of floweriness and a strong taste of banana bread overall. But enough of that delicious specimen; on to the tasting, which was facilitated by Boris Warneke of Bierhaus. We were to sample 7 different beers, in a variety of styles, ranging from 4.8% to 7.9%. First up was Früh Kolsch. 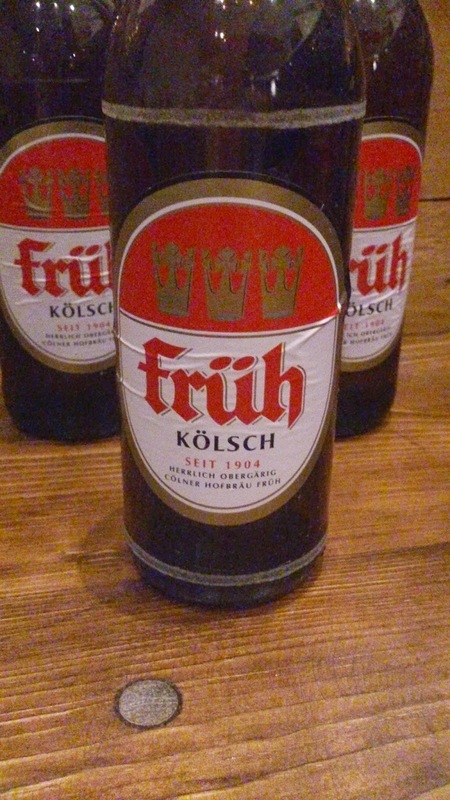 Interesting fact: Kolsch is a style that can only be brewed in Cologne as it has ‘protected geographical indication’. In other words, if you’re drinking it and it’s not from one of the 13 breweries in or around Cologne then it’s just a Kolsch style beer. Früh Kolsch was a nice easy one to start with. It’s essentially a good tasting, quality lager without the added bitterness. I have a feeling I said something about ‘toffee notes’ at the time, but frankly it’s all a bit misty now. 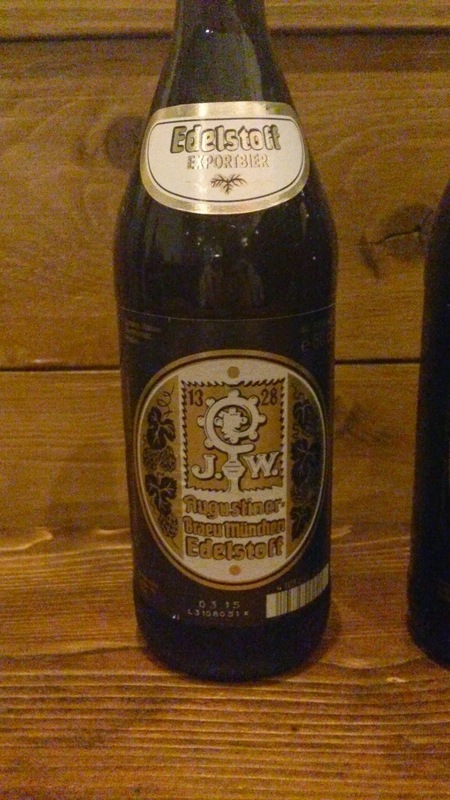 Next up was Edelstoff from the Augustiner-Bräu brewery, Munich’s oldest independent brewery, no less. This definitely had more fizz to it, but maintained that sweet, malty taste without the bitterness. Very nice indeed, full of flavour, but not indicative of its 5.7% ABV. The next 2 we tried alongside each other as they were darker styles of beer: Schlosser Alt and Flensburger Dunkel. These two did split the room a bit. 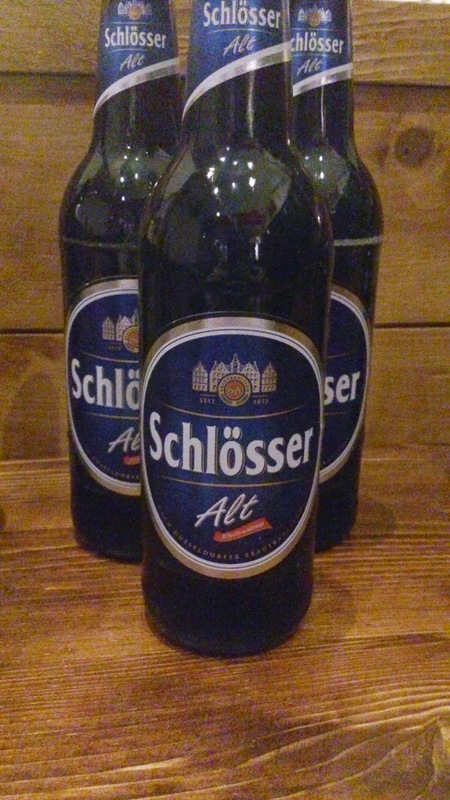 While I enjoyed both, I definitely preferred the Schlosser Alt; with its smooth and nutty taste it felt very similar to a traditional English ale. 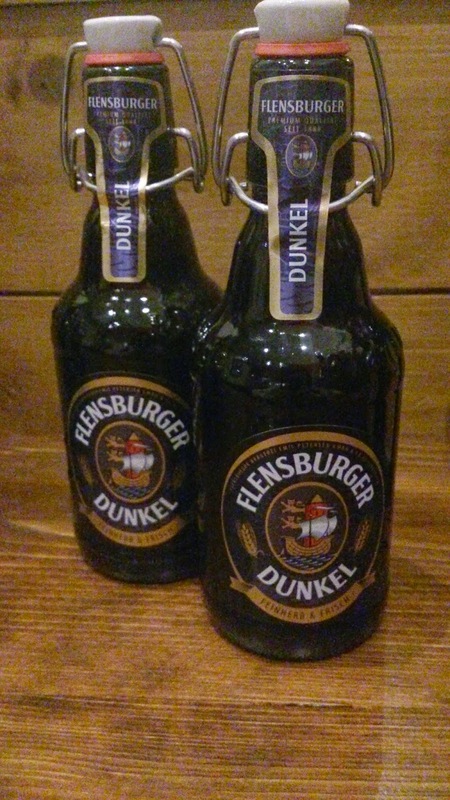 The Flensburger Dunkel was heavier in body, as you might expect, and with a slightly bitter twist. Still, look at that beautiful bottle: I’d have that on my table any night. Then it was time to sample one of my favourite styles: The Weissbier. There was a time when I drank little else; weissbiers and blondes were my go-to style of beer. Of course I eventually realised that there were hundreds of other beers I had to try, but I still love a wheat beer particularly in the beer garden on a hot, summer’s day. 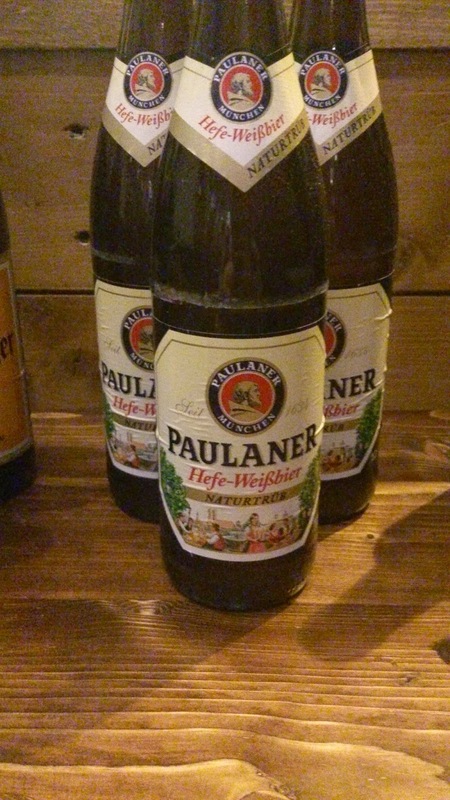 Schofferhofer and Paulaner Hefe-Weissbier are interesting to compare. 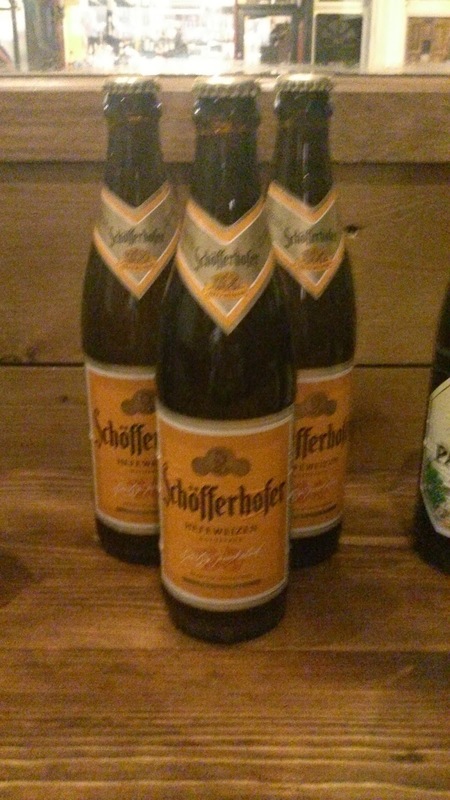 Both are very drinkable and have the typical character traits of a German wheat beer, but for me the Schofferhofer was a clear winner with its lighter body and refreshing taste. Don’t get me wrong, I love a Paulaner, but I wasn’t in the mood for a flowery number. 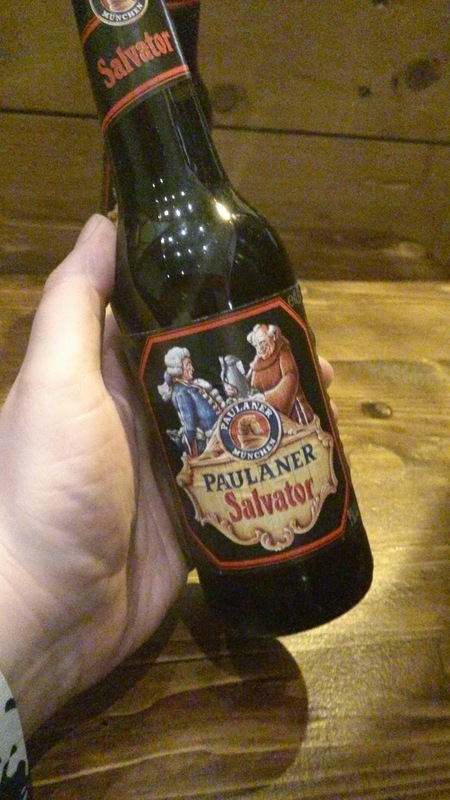 The final beer was special and one that Boris expected to divide us all: Paulaner Salvator, a doppelbock (so, a sweet, strong beer which has nothing at all to do with goats). Funnily enough, I didn’t have strong feelings about this one. I enjoyed the sample I had, but I’m not sure I could have had more than one bottle in a sitting (although at 7.9% I’d probably be on the floor after a few anyway). It was very rich and malty, with an undertone of treacle…almost honeyish? Overall it was a great night and I would absolutely recommend a visit to the Octoberfest pub. I tend to go through periods where I exclusively drink a particular country’s beer (it was USA for quite a long time and, er, Belgium FOREVER, obviously), but I think I’d neglected Germany when they clearly are right up there with the best of them. Thank you to Boris for holding the event and being wonderfully informative. If you have a moment, pop along to Bierhaus and give the page a ‘like’. They’re about to start importing German beer and I am definitely going to be one of their first customers! Also, if you’re in Bristol, see if you can find some Alpenwald on tap (I hear the Beer Emporium has some), one of Boris’s latest brewing adventures. This event was part of London Beer Week 2015: click here to see what else you can do this week! German is the most language that is spoken by almost 2 billion peoples around the world(German Classes in Chennai). Learning this language would give one self confidence to look the world in a different perspective(German Language Classes in Chennai). You have made me to realize that in a moment on reading this article. Thanks for sharing this in here. By the way you are running a great blog. Very nice blogs information.Thanks for sharing now helpful article.